Splits over a response to the Syrian refugee crisis and the looming Brexit referendum are not good news for the EU. The official line is that this grandest of all grands projets grew out of political determination to make nationalism of the kind that sparked WWII not merely difficult but impossible. However the first demonstrations of unity - the 1951 European Coal & Steel Community, and 1958's European Economic Community - were both trade agreements. Confusion over whether European integration is a political or economic movement persists. In an ironic reversal of what we now expect, the UK joined the then-EEC in 1973 thanks to a Tory PM - Ted Heath - and in 1975 Labour voted to leave. The EEC became the EU in 1993 thanks to Maastricht, a treaty that embodied perhaps the best and worst aspects of supranationalism. 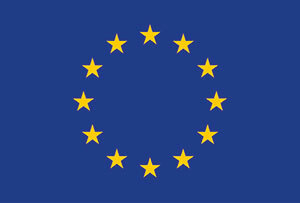 The best - the completion of the single European market and the free movement of goods, capital and labour within it; the worst - the ill-fated Euro, a currency union doomed by the conflation of politics and economics (again) that has had grim consequences for many EU citizens - just ask a Greek. Fuelled by spats over metrication, straight bananas and 'crazy' legislation, Brits have historically loved to hate 'Europe'. But in mercantile terms, our membership has been massively beneficial - nearly half our exports go, tariff free, to EU countries. Grocer's daughter Margaret Thatcher understood this, negotiating hard but remaining in the club. Now forced into a 2017 in/out EU referendum he doesn't really want, David Cameron will be hoping to channel his inner Mrs T to win the day. But this time the naysayers may be harder to resist. A cynic might say it's a carve up between Angela Merkel and Francois Hollande, but the hands on the tiller actually belong to Jean-Claude Juncker, president of the European Commission, and Donald Tusk, president of the European Council. Immigrants - the fractured (and fractious) response to the Syrian refugee crisis is proof that consensus across the EU and its 28 member states is in short supply. What skills do you need to succeed in STEM? How can we tackle tax avoidance?